Bowel movements are exactly the type of thing one usually does not talk about very openly (or honestly) with many people. However, we talk about bowel movements all the time. I am often surprised when talking with our clients about their bowel habits when they say they are ‘regular’ when in fact they are having one bowel movement every 3-4 days. 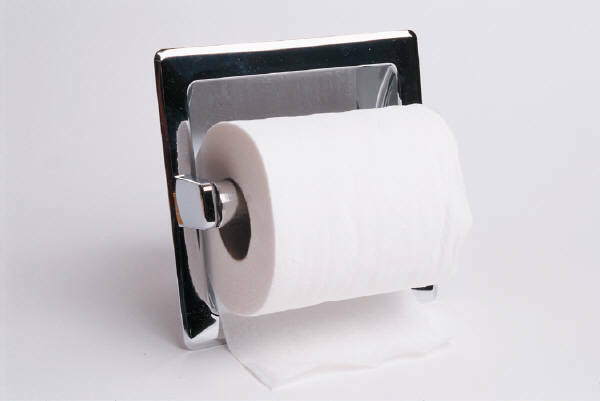 Several or our clients report being ‘regular’ while having a bowel movement every 3-4 weeks. Obviously, something isn’t quite right in these situations. Constipation affects all of us from time-to-time – illness, travel, stress – anything that disrupts our normal routine can cause a bout of constipation. But if you routinely do not have at least two full bowel movements daily or if you have to strain/push to have a bowel movement, you may be suffering from some degree of chronic constipation. Since the GI tract is basically a tube, when something goes in one end, something should come out of the other (assuming a person eats fiber-rich foods regularly); therefore, most people should ideally have 2-3 bowel movements daily, corresponding to 2-3 main meals daily. Many cases of chronic constipation are due to one or more of the following: dehydration, low-fiber diet, imbalances in essential fatty acids (EFAs) and/or lack of exercise. Let’s take a little bit closer look at each of these so you can take some easy steps toward getting rid of the back up. Dehydration is the #1 reason people are constipated. We lose 1-2 quarts of water daily just from breathing and existing (through basal metabolism and evaporation); therefore, at a minimum we need to consume 1-2 quarts of water daily to make up for what we lose. In addition, many people consume liquids that are diuretics (which cause you to lose additional water) including coffee (regular and decaf), soda/pop, alcohol and anything containing caffeine. Furthermore, most people drink a lot of water at one time (say 16 oz. at one sitting) that cannot be adequately absorbed and utilized by the body, so they are not getting the water they need (and make frequent trips to the bathroom soon after drinking). All of this leads to a state of chronic dehydration which will cause constipation. If your stools are hard and small and/or if you have to strain to have a bowel movement, you are most likely constipated and need to drink less water (about 4 oz. or ½ cup) more often (every 20-30 minutes) throughout the day. Keep in mind that, contrary to popular thinking, it can take 3 or more weeks to rehydrate your body after becoming dehydrated (without taking an IV). The second leading cause of constipation is too little fiber. Our intestines need fiber (both soluble and insoluble) to function optimally. Think of the intestines as a tube whose walls are made of muscle. When the tube is full of bulk (fiber) the muscles have something to work on, and they will push the bulk through the intestines. However, if there is no bulk (fiber) to work on, the muscles have nothing to work with and nothing happens – and you don’t have a bowel movement. Therefore, you need to have plenty of fiber in your diet. The easiest way to increase the fiber in your diet is to increase the amounts of fresh and steamed vegetables, legumes (beans, peas and lentils), whole fruits and whole grain products. If that doesn’t work, you can always use a product like Endefen to enhance your fiber intake while providing additional gastrointestinal support. Essential fatty acids (EFAs) are deficient in many people’s diets and a deficiency can lead to constipation, among other health conditions. There are two kinds of essential fatty acids, omega-3 and omega-6 essential fatty acids. Those that are constipated need to focus more on consuming more omega-3 essential fatty acids. These include eicosapentaenoic acid (EPA) and docosahexanoic acid (DHA) and are found most abundantly in fresh, deep-sea fatty fish, such as salmon, tuna, mackerel, halibut and sardines; omega-3 EFAs are also found to a lesser degree in flaxseed and flaxseed oil. Generally, people with constipation will need to take about 3000 mg/day of EPA+DHA; we generally recommend a high-quality, high-potency product like Orthomega to fulfill this requirement in 2 gelcaps 2x/day with meals. The benefits of regular aerobic exercise are numerous. In addition to providing ongoing support for cardiovascular health, regular aerobic exercise can also help promote peristalsis (the rhythmic muscular contractions in the intestines) and decrease constipation. Walking and running seem to be the most beneficial. Constipation in and of itself can be troubling – it often leads to excessive gas, discomfort, bloating and a general feeling of ill-health. However, constipation can also promote several other health concerns including decreased energy and fatigue, joint and muscle pain, headaches, other digestive problems (including acid reflux, irritable bowel syndrome and Crohn’s disease), weight gain, decreased immunity, PMS and other hormone imbalances. Therefore, your overall health is very dependent upon the proper functioning of the GI tract and eliminating constipation. You should have 2-3 bowel movements daily. Chronic constipation can be caused by dehydration, a low-fiber diet, imbalances in essential fatty acids (EFAs) and/or lack of exercise. Drink 4 oz. (1/2 cup) of water every half hour for optimal hydration. Include plenty of whole grains, legumes, vegetables and fruits in your diet. Get enough EFAs in your diet by eating fresh fish and/or taking Orthomega.